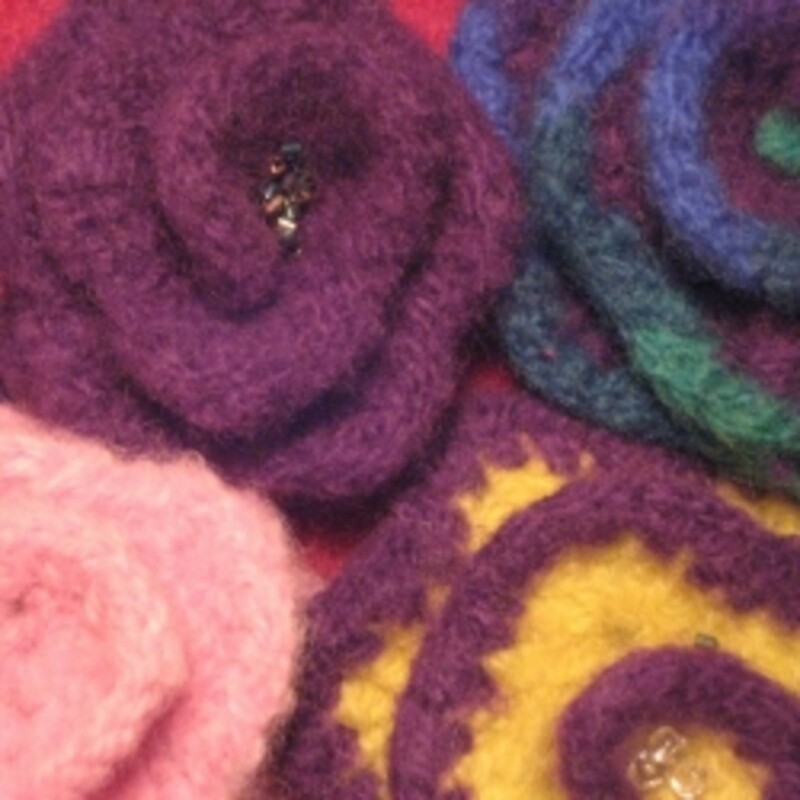 I started making felted wool flowers as accessories for my felted knit hats, but found that they also make really funky and versatile pins! 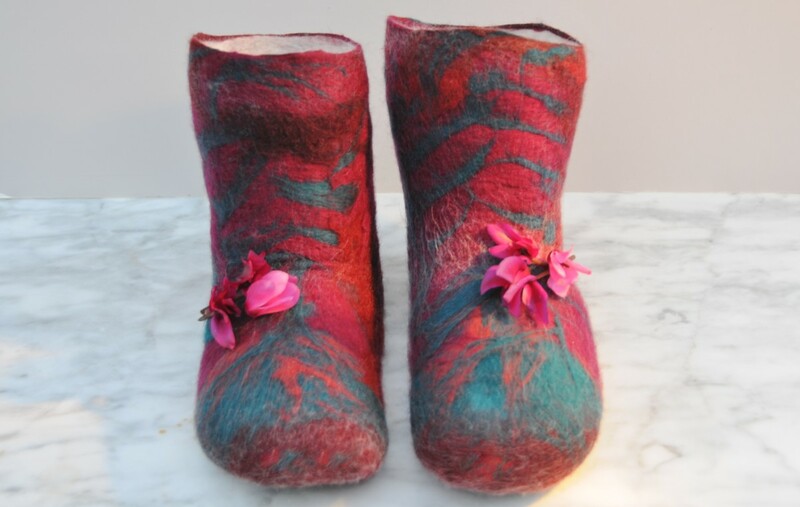 This is an easy project you can knit or crochet with wool yarn and then felt (felting instructions are included here too). 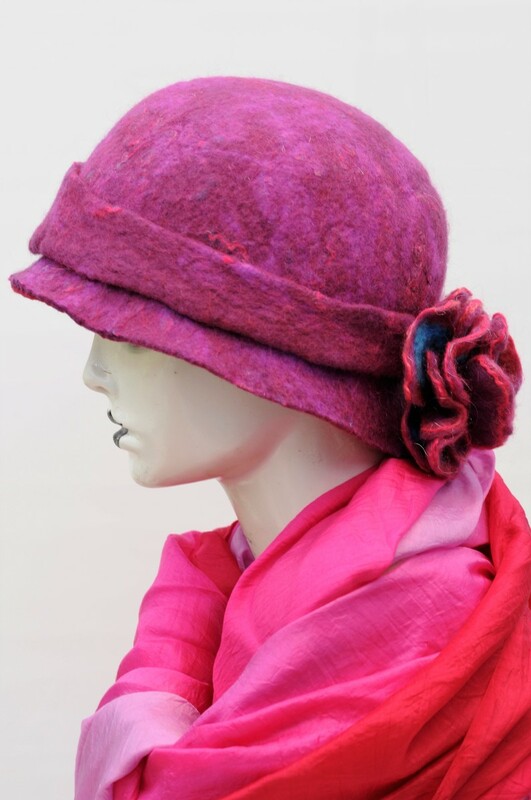 They look fabulous on a coat or cardy, or on a bag or hat - singularly stunning or fabulous in a colourful bunch. I tried many patterns and finally created my own. It felts really well and the petal shapes still show. 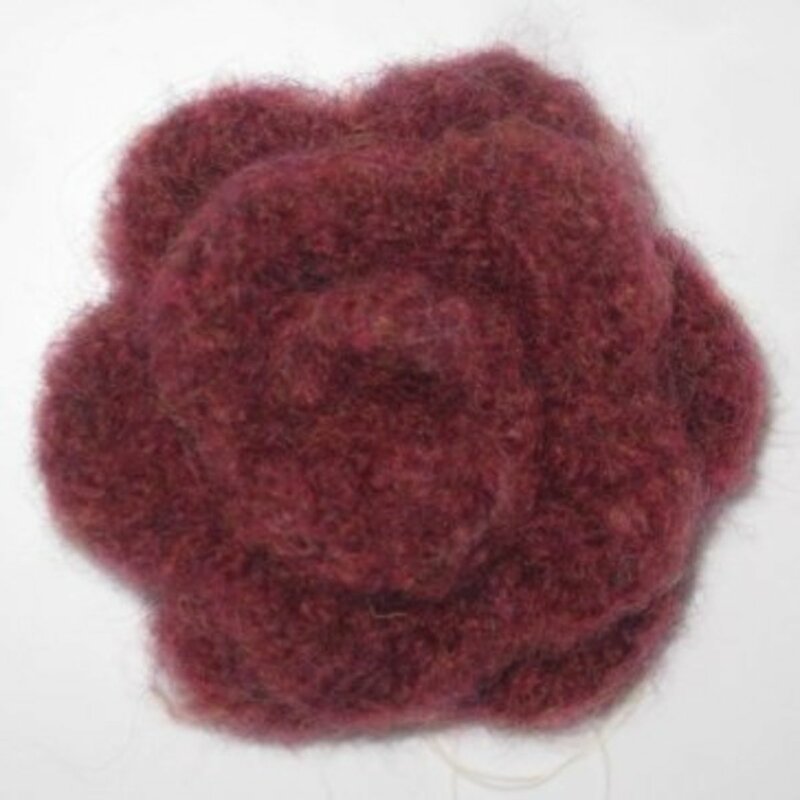 Here are the step by step instructions for my pattern as well as other crochet and knit flower patterns you can felt to make your own beautiful felted wool flower pin. 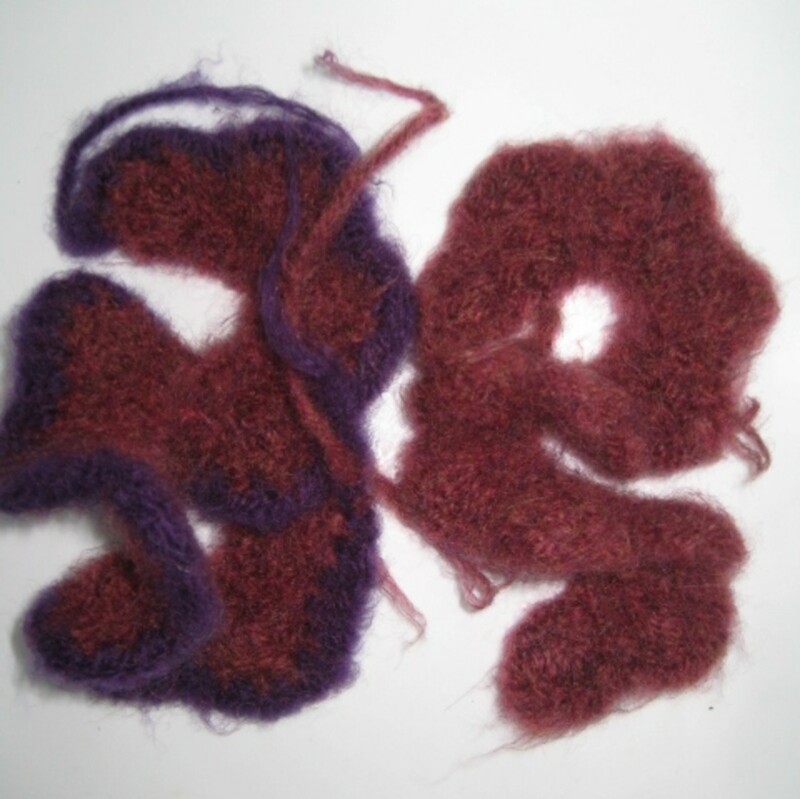 Wool Yarn - Colour (or colours) of your choice. Each flower can be one colour or a combination - I recommend a max of two colours per flower. One 50g ball is enough for several flowers, depending on your gauge. 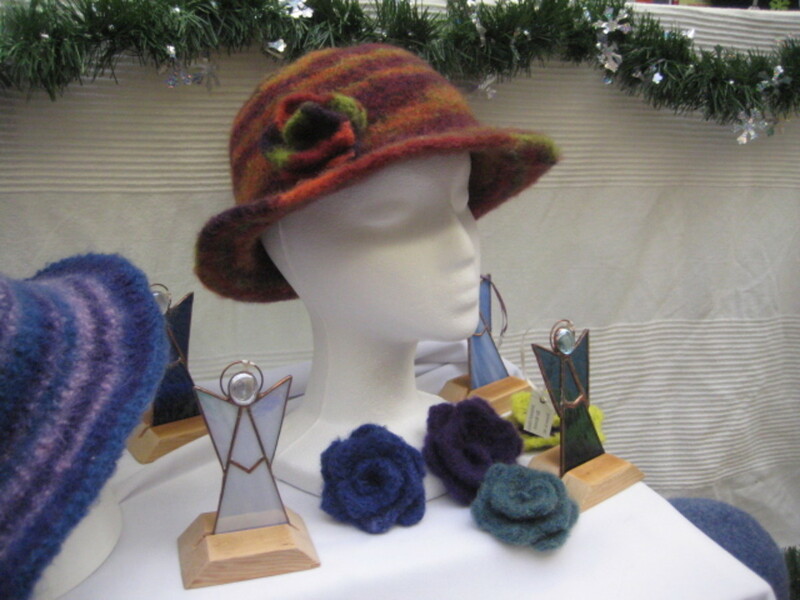 Wool must be feltable - 100% pure wool is best. Knitting needles or crochet hook - use the recommended size or 1 size smaller than the size suggested on your yarn label for best felting results as tighter stitches felt quicker. 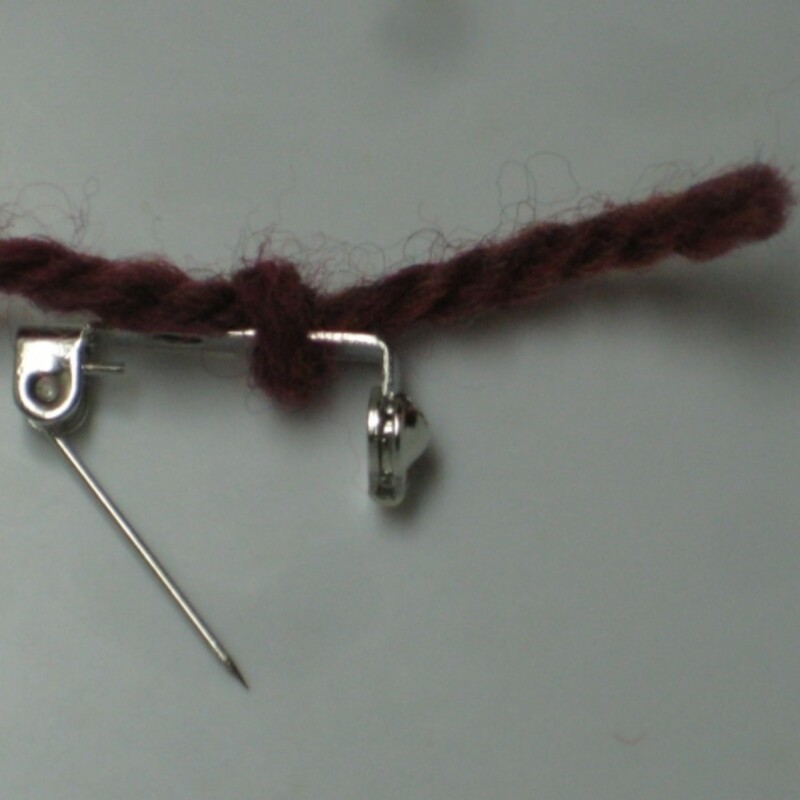 Sewing needle and strong thread (thread colour should match your flower colour, so it's invisible). I use a quilter's cotton or button cotton - it's pretty strong. Tie off. Or continue with row 4. This is an optional row - it will make your flower larger. You can continue in the same color or switch to a second color now. sc ch1, sc ch1, sc ch1, *sc, sc, sc ch1, sc ch1, sc ch1, sc ch1 repeat from * to end, tie off. 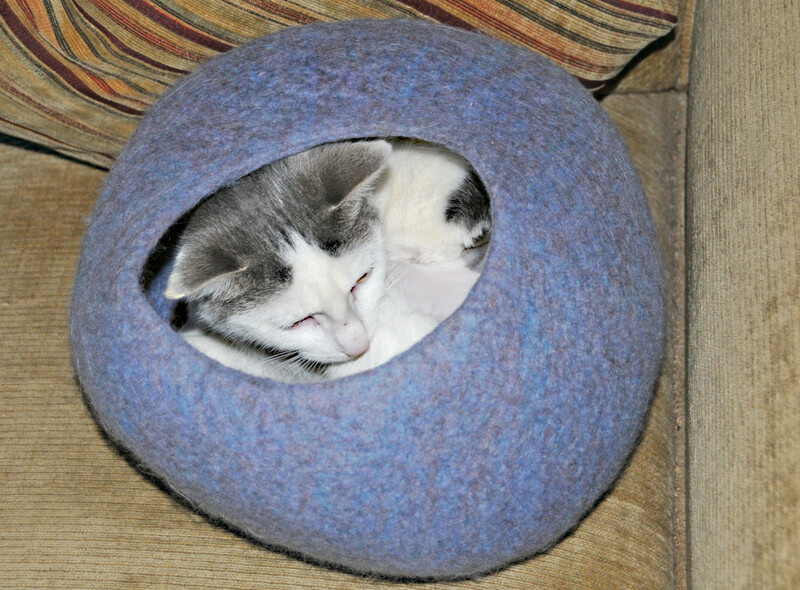 I suggest knitting two and joining them (or double the number of stitches) This way, the outer edge will lie flat. 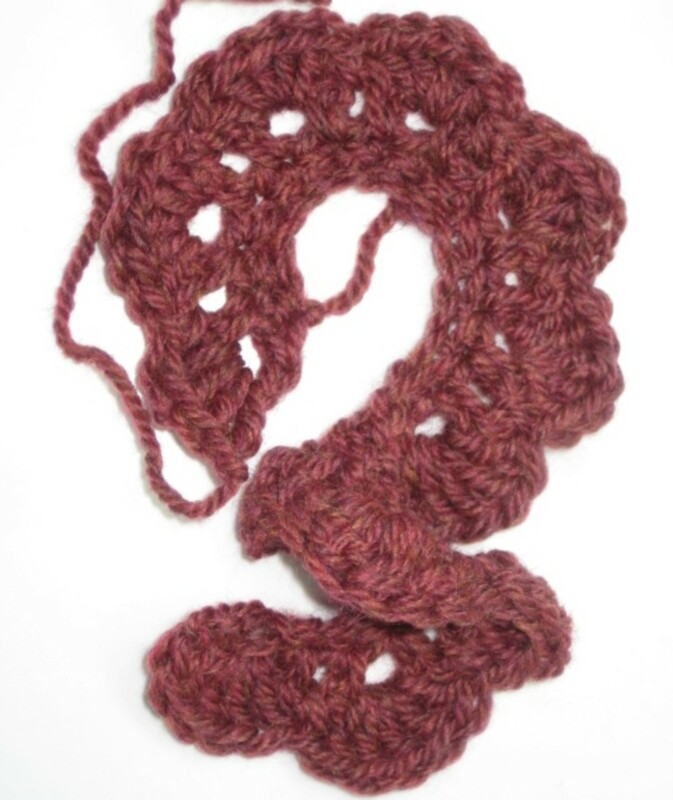 I knitted two, each in a different shade of red, and put them together, for you to see. I'm sorry - the page at the end of this link is gone. I'll write it out myself because this really is a great pattern to knit - bear with me! 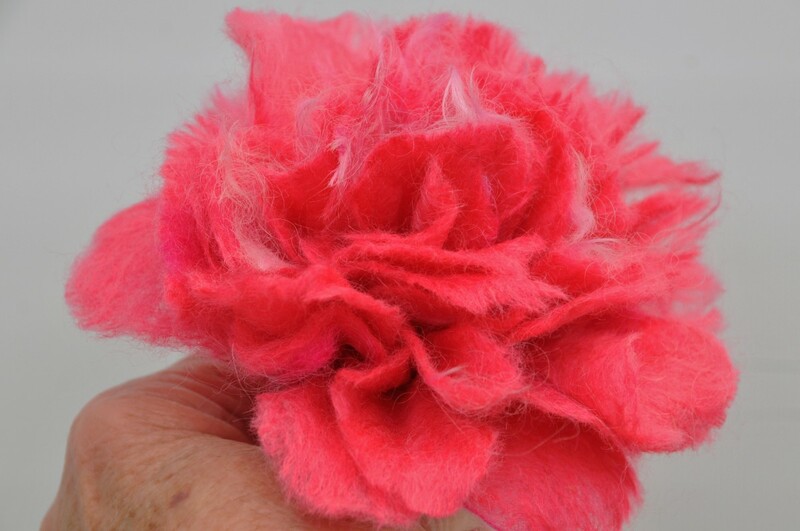 Put your flower in a hot wash cycle with a pair of jeans, and a little soap. If you're doing more than one flower, wash them together to save energy. 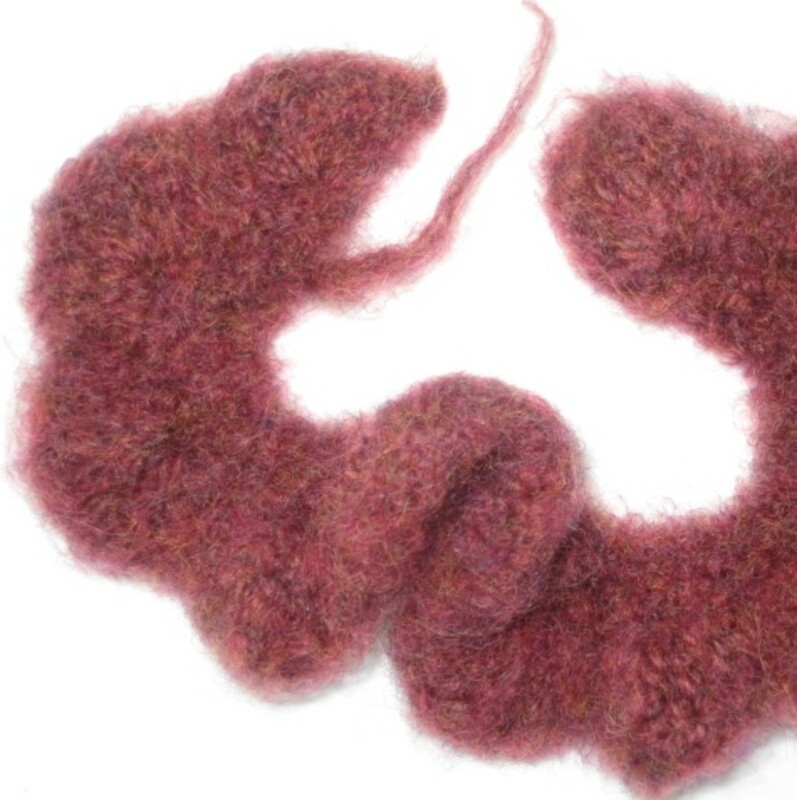 Small felting projects like this take longer to felt than larger ones, so it will probably need two washes or more. 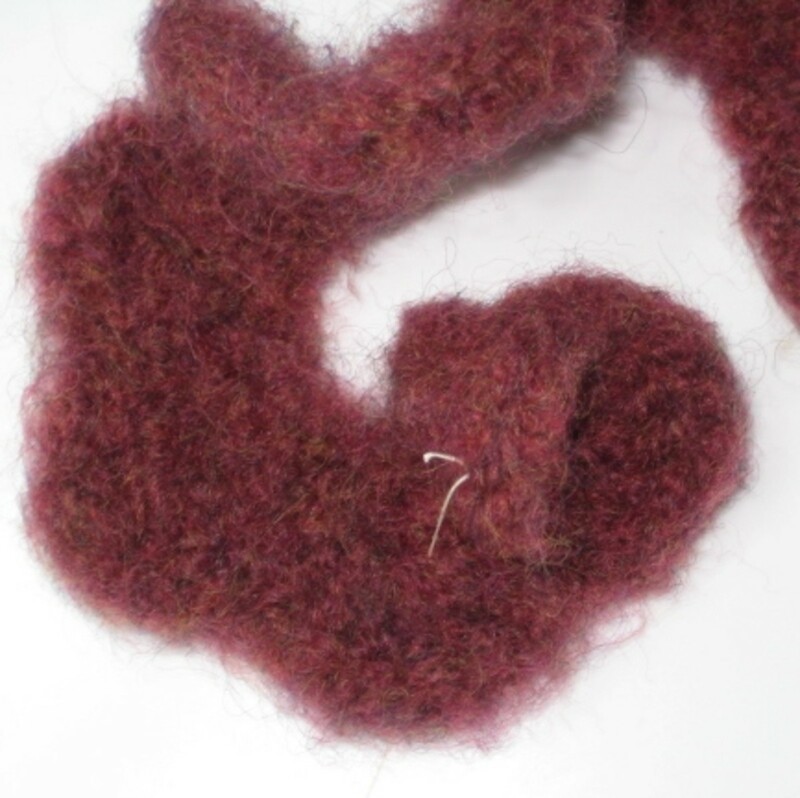 Check it often, so you don't over-felt, and keep going (try in the dryer if you want it really small and dense) until you get the degree of felting you like. You'll start rolling in the center of the flower. This is the end which was the beginning of the starting chain. It will have the bottom edge tail. It's also slightly pointier, and the petals aren't as big. It's the left side end in the picture. Once you've identified this end, trim the tails. Work now on the bottom edge, with your flower upside-down. Keep rolling and stitching the bottom edge. I'm using cream coloured thread so you can see it, but you will, of course, be using a colour similar to your wool. First, I wrap the pin back with some yarn (and tie it). This is so you'll have something to sew it to. Don't make it too thick, or the pin won't close easily. 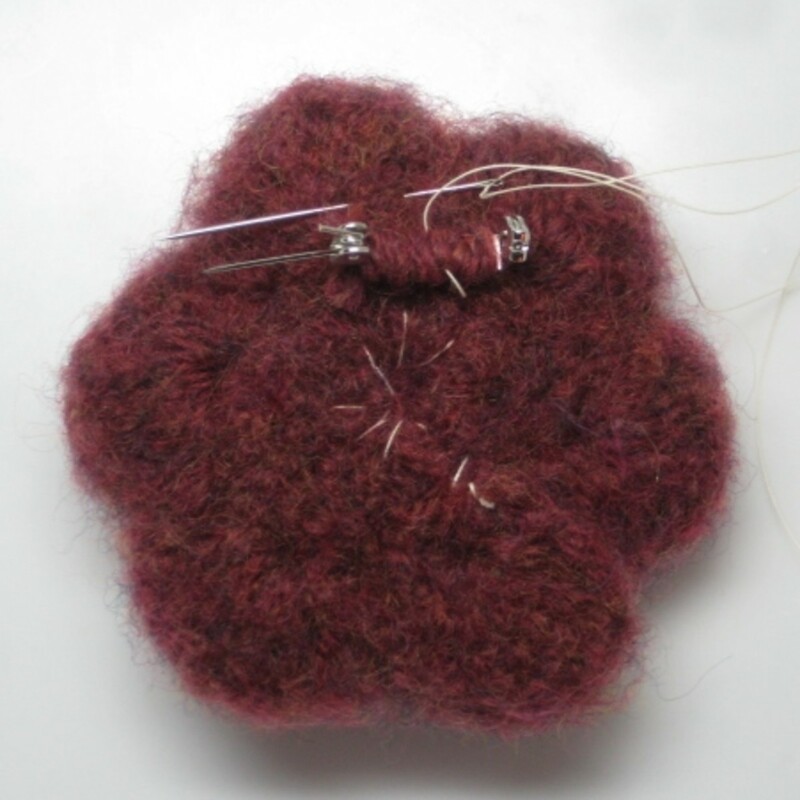 I then secure the pin to the flower with some stitches through the yarn on the pin back. 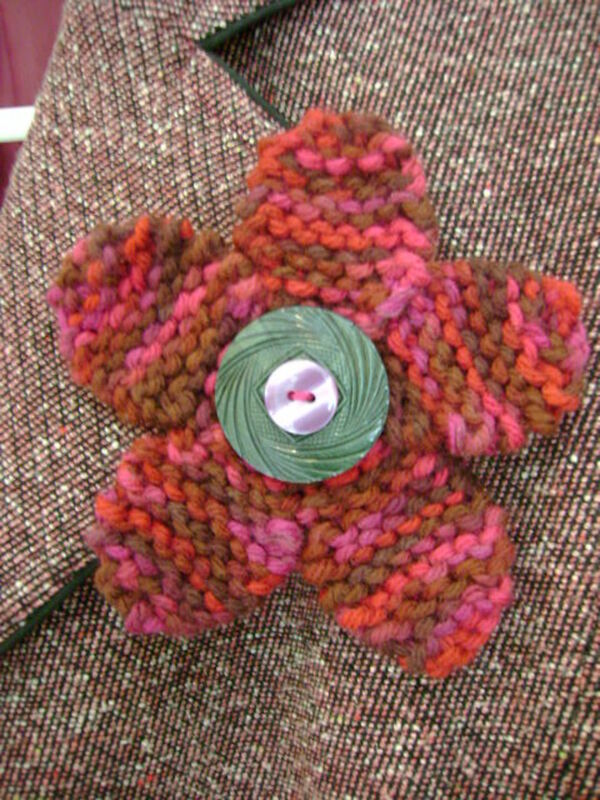 You can sew beads on the flower - a group in the center, sprinkled randomly all over, or along the top edge. Adorable! Are you using American or English stitches, and what is the half-treble? I'm using American crochet terms here. To be honest, I had to look it up myself. 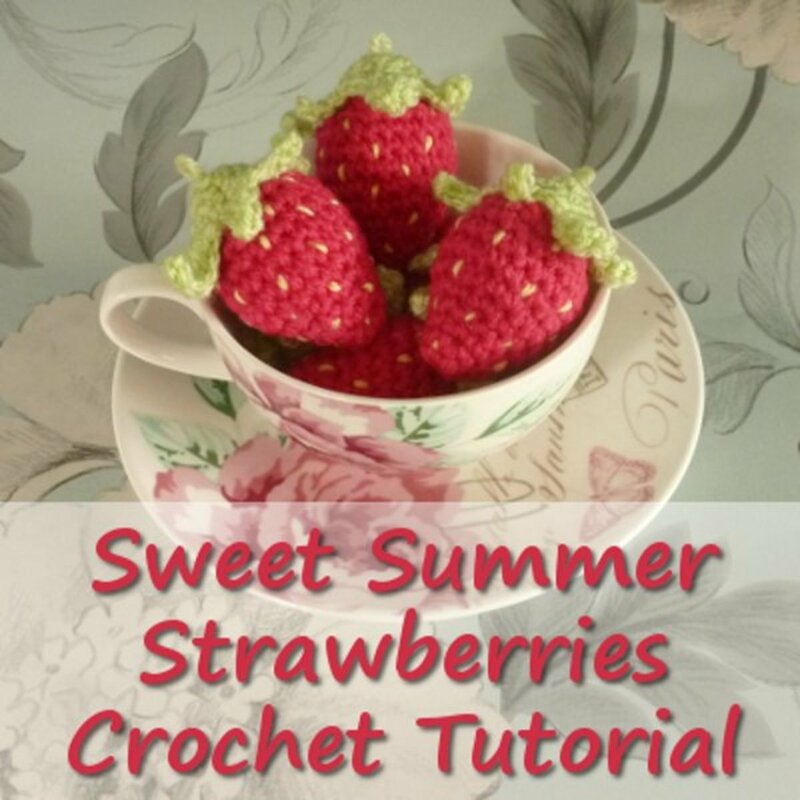 Could you tell me what the difference is between a pattern you want to felt and a regular crochet pattern? 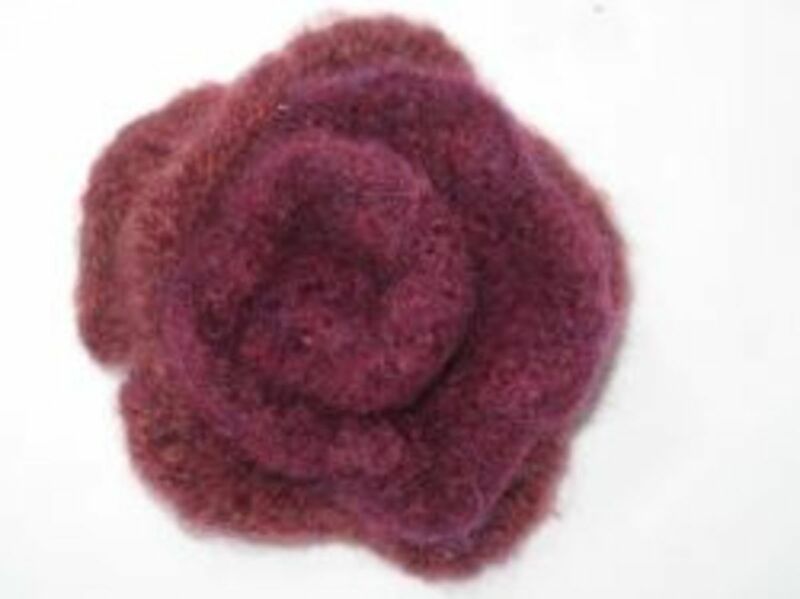 What colour would you choose for your felted flower pin? 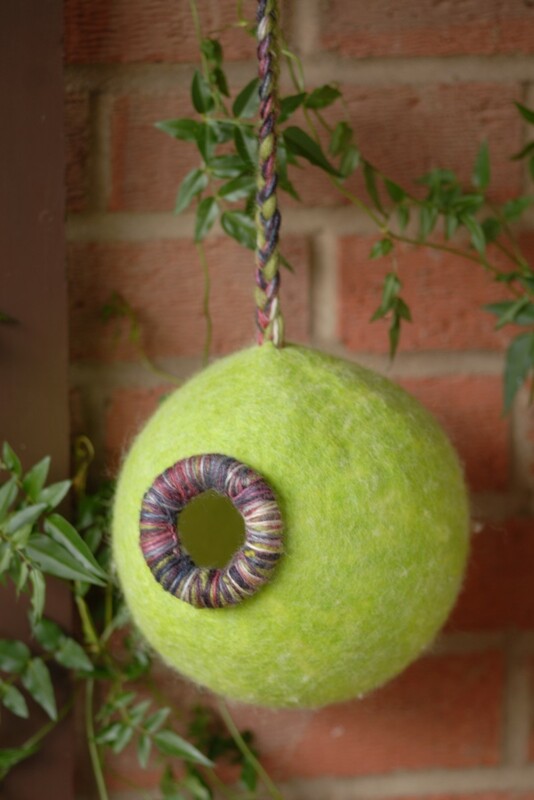 I definitely recommend trying felting with your knitting or crocheting, and this little project is a fun way to get started. I developed this pattern through many versions. 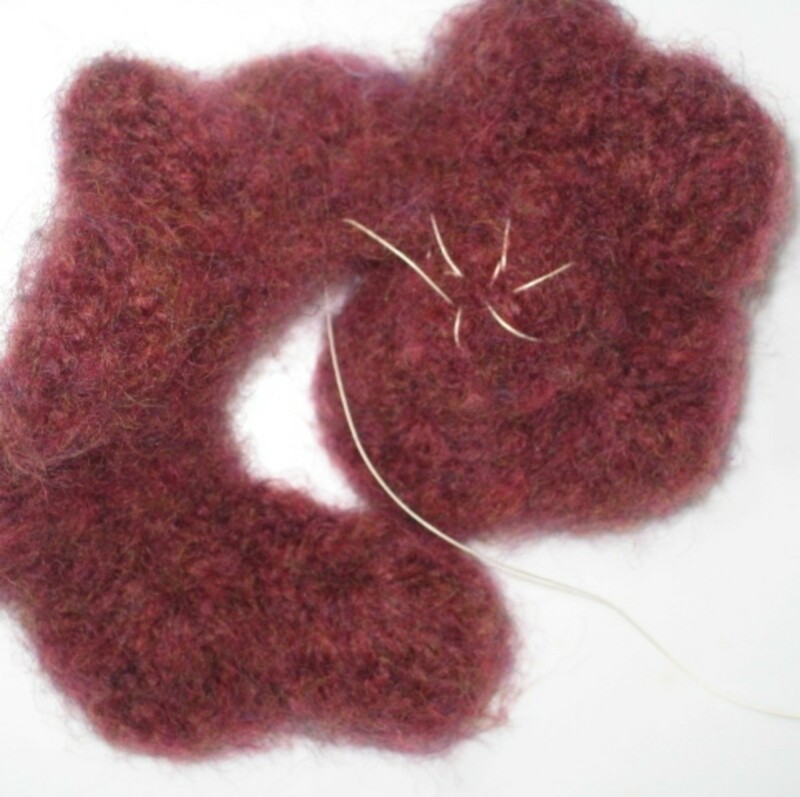 It works very well for felting and is quick too. I had it down to 20 minutes per large flower - useful when I was making LOTS for the Christmas markets - I sold many of these flower pins at craft fairs - they were really popular and are fabulous gifts. @anonymous: I'm glad you love it! I'm also glad you got through row 3! Thank you for visiting and thank you for your comments! I put a new section in with answers to questions - there's a little explanation about lenses and a link for more info. I couldn't knit to save my life, but these are pretty neat. Thanks for a great tutorial. I finally was able to make the flower!!!! i LOVE it!!!! I can't wait to try the other methods!! THANK YOU SO MUCH for your tutorial!!!! 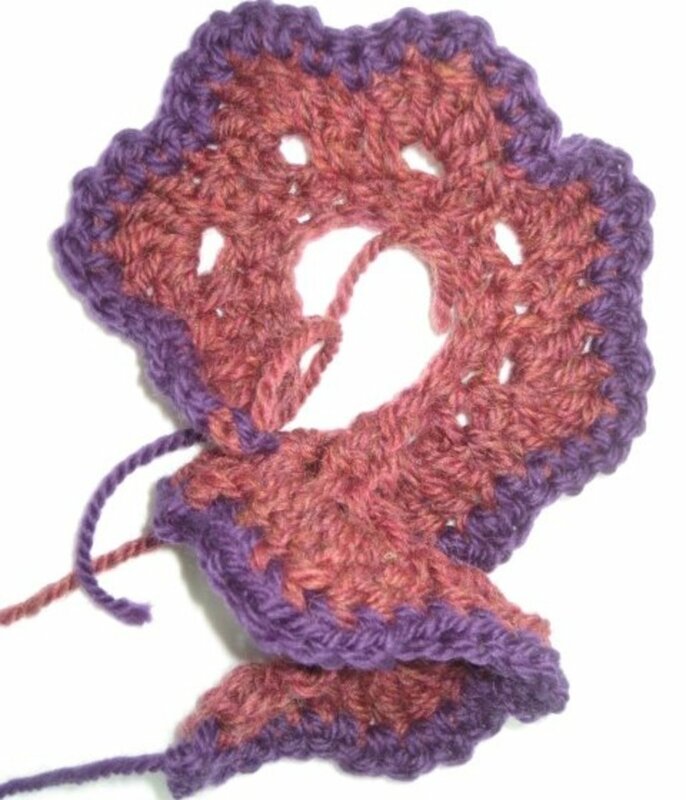 i like this tutorial on how to crochet a flower. but i don understand row 3 at all!!! it would help to have pictures of each step. thanks! 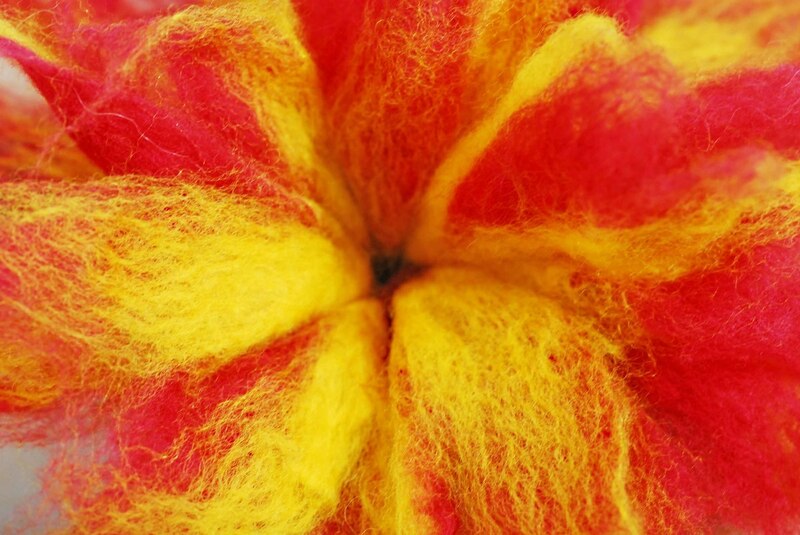 This lens makes felting look easy. This lens appears to receive a great deal of readers. This is a very nice "how-to" lens. Well done! I don't crochet but these are really cute. Almost makes me want to take up crocheting but I think I'd be all thumbs.